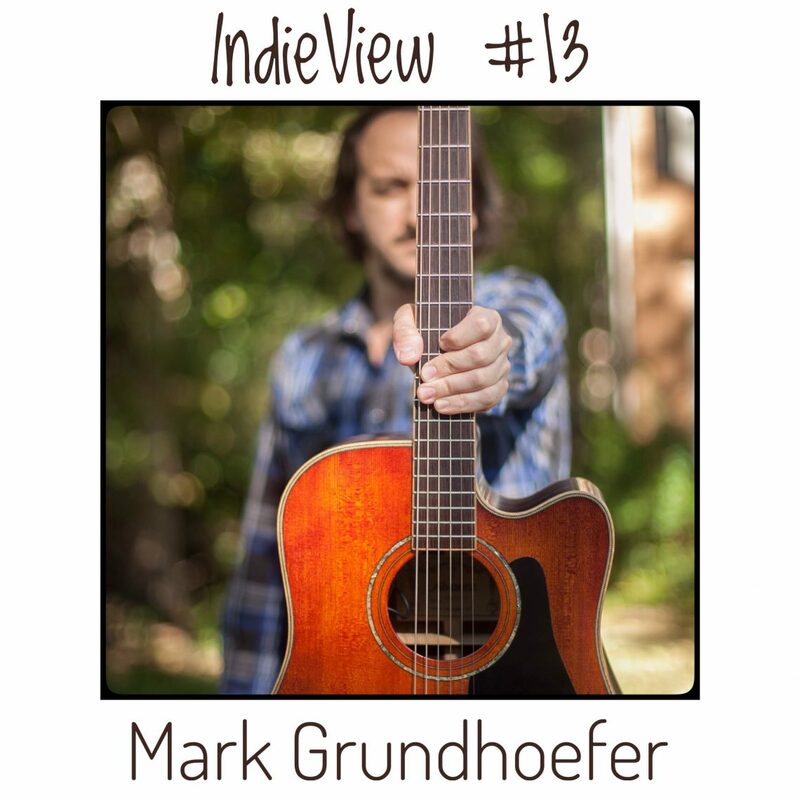 In this thirteenth episode of the IndieViews Series, we are going to chat with Mark Grundhoefer. 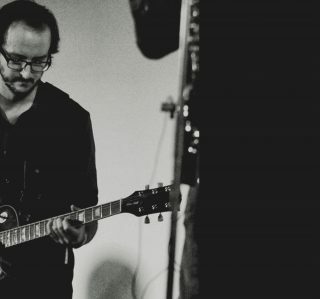 For the last decade, Mark has been a staple of the Los Angeles music scene playing in numerous bands, devoting countless hours of session work, and developing a full-time teaching studio. He now resides in Atlanta, Georgia where he continues to perform, record, and educate. 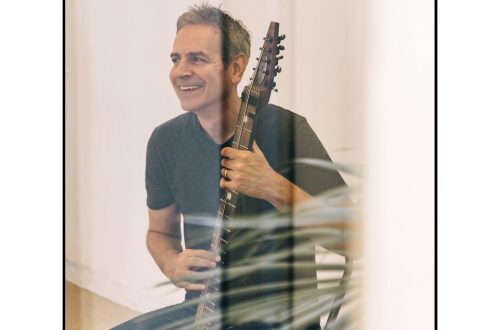 He has a Bachelor of Arts in Classical Guitar from Florida State University and a vocational degree from Musicians Institute in Hollywood, California. 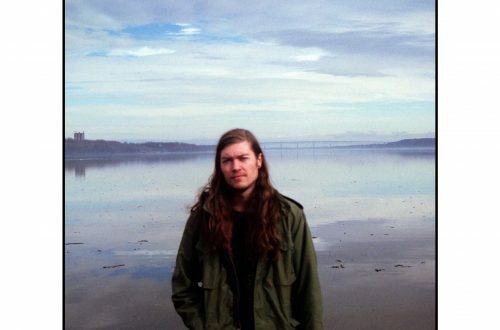 Mark’s sound is a reflection of his southern roots and his classical and jazz studies. 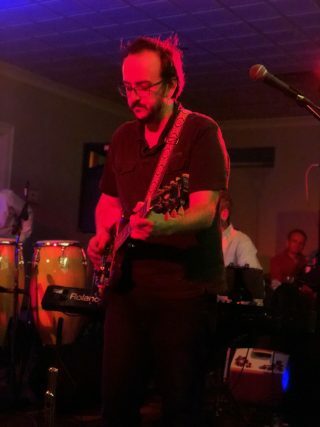 He has been compared to many of his own inspirations, such as Pat Metheny and Steve Howe, among others. I come from a family of musicians. I can remember being a child listening to my dad and his brothers jam in the basement of my grandparents home. 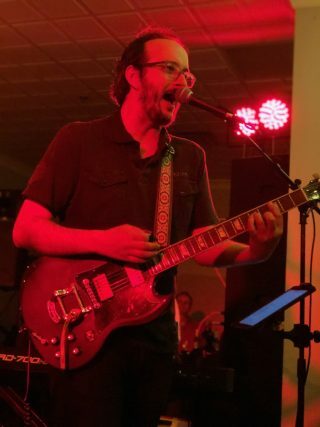 As I grew older I began studying guitar and learned to play music sitting in with the family band. I listen to a ton of different artists, and some of my favorite bands/musicians are not guitarists. But I love Steve Howe, Jeff Beck, Pat Metheny, Eric Johnson, and many others. I used to live across the street from the Hollywood Bowl and I saw a ton of great shows there including The Police, Rush, and Sting, but the best show was Peter Gabriel when he toured for the anniversary of So. It’s really all I know. It sounds cliche, but it means everything. I do love it. I write and record a ton of music. I get to play and share the type of music I love to play and there’s an audience for it. My “day job” is as a music teacher. I get to go to work everyday with a guitar in hand. Do you know when did you decide to be a full-time musician? I kind of hang my hat on the fact that at 36 I’ve never been anything other than a full-time musician. I’m not sure I’d be able to work in any other field. I have a four year old daughter who is smart and funny and keeps me busy! I am a stay at home dad during the day. When my wife gets home from work, I leave and teach lessons. I then spend my late nights after everyone is asleep working on music in my home studio. Once or twice a month I’ll book a gig at a restaurant or private party. And I have some different musicians (most of them are family) that I work with playing cover gigs during the summer months. I don’t play out live nearly as much as I used to. Tell us more about your latest works (album, live tour, new projects). I did study music. First I was a pianist. I took when I was a little kid. But it didn’t speak to me so I switched over to guitar. I took private lessons until I went off to college. I studied classical guitar with the great Bruce Holzman at Florida State University. After graduating I went to Musician’s Institute in Hollywood, CA for a short stint before getting a job as a music teacher. And I’ve been teaching ever since. And yes, I do believe studying music is essential to being a pro. Of course there are some amazing musicians out there who can’t tell you the difference between a natural minor and harmonic minor scale. But I believe in learning everything you can about your instrument. I try and learn as much as I can. I am surrounded by other teachers who can always give me a fresh perspective. Plus teaching is a great way to research new ideas, techniques, and approaches to the instruments I’ve played my whole life. The Shaping Forces in Music by Ernst Toch. It’s the kind of book you have to read a few times. More like a textbook than anything. And it is deep. Half the stuff in there still goes over my head. Since going “solo”, I’ve stuck to instrumental writing. Often I find a riff, or a melody, or a groove and I’ll record it. Sometimes that’s all I’ll have and I’ll loop it and just start improvising over it. A song usually starts to develop and I can start arranging it, putting more instruments in, tweaking the beats, etc. Very rarely do I begin the recording process with a fully formed idea. I love the album format. But in this new climate of releasing singles, it seems that’s what people want. Less music/more often. So it may be some time before I release a full length album again. No matter what I’m working on, the buildup to a release is very important and I do a ton of social media blasts and promotions. It’s hard to make it in the fusion/instrumental/guitarist realm, so brand awareness is key. The full length albums I’ve released I agonized over the sequencing of the tracks. It’s so important, especially with instrumental music as you have to tell a story and the flow of the album can make or break it. I produce everything myself, but I have a folder in dropbox that I share with my closest and most respected musicians. We each can drop our current ideas, mixes, masters, and get outside perspectives. It’s great. Kind of like having a few producers who you know won’t sugar coat what they think of the tune. Everything is done at home. I use Logic, have some great plugins, lots of analog equipment, cool mics, and other hardware. I do have several guests all over the different records I’ve worked on. It’s all musicians I’ve know and played with in some capacity over the years. My dad has guested on keyboards on a tune and my wife played violin on another. A few of my closest friends Jamie Pate, Nick Pappas, Lloyd Paul, Patrick Tyrrell, and Matt Nichols have sat in on plenty of tunes. And a fellow teacher J.T. Lee was on my last EP. I’ve got a few releases coming up with David Brimer and John Clark. These are all incredible musicians and it’s nice to have outside input from musicians I respect and know I don’t have to give tons of direction. I’ve only done two physical releases since 2015 and that was more of an afterthought since the majority of exposure would come through digital streams/downloads. So no, I didn’t do anything different. The only way to get physical copies of any of my albums is in person at shows. If I could figure out a better way than facebook/twitter/Instagram I would do that in a heartbeat. But it seems those are still the best options. I barely sell CDs anymore. The whole industry is a mess from a financial standpoint. But this past year my music was heard in 65 countries on Spotify. Being in a band in 1999, I never would have imagined that my music could reach that far. Instagram is a big one for me. I find a more organic response there. Facebook still works, but you have to gain the system to be seen. Live videos on facebook seem to be the best way to reach an audience. I have used sponsored posts on all platforms with basically no response. I’m hesitant to recommend anyone use them. Maybe it would work for someone else? Have you a mailing list? You think is a “must have”? I don’t. That’s one of my goals for 2019. I’m probably missing out on a whole demographic. I’m not sure FM or even satellite radio will exist for much longer. I think most people would rather throw a spotify or pandora playlist on than listen to the same classic rock songs over and over. I think it’s great. Yeah, I think we all deserve to be compensated better, but that’s just the cards we’re dealt right now. It’s making it so I can be heard in countries I didn’t know existed. How cool! I play most of my music in standard tuning. Occasionally I’ll use drop D, but mostly standard. Which makes my love of slide guitar playing a little tougher. Should probably learn to play in more open tunings. I do play banjo, so I know a few based around that instrument. I also have a popular song on spotify called Loma De Oro which is an original modern classical guitar piece in DADGAD. I have a lot of guitars and they all get played. I’ll say my favorite is my 1968 Gibson ES330 which is fully hollow and has two P90s. It was given to me by my uncle who I am very close with. I play it somewhere on just about every jazz/fusion song I’ve ever recorded. I have a few other Gibson’s including an SG, another semi Hollow 356, and my go to guitar for live shows, a black 1978 Les Paul. I also have two parts guitars (a tele and a strat) made by a fantastic builder in the San Fran area. And I have the body and neck from my first guitar, a Mexican Strat which I need to rebuild one of these days. My main acoustic has been an Alvarez I’ve since the early 2000s and use it for live acoustic gigs and recording. But I just got an American made Breedlove strictly for recording. I also have an Asturius classical guitar. On top of that I have a few random basses, a lap steel, mandolin, and two banjos (one of which is a family heirloom – a 1910 Paramount Tenor Banjo). I’m not super picky about strings but I use Elixir Polyweb and Nicola Brand Nylon strings. On my electrics I do have a preference for Curt Mangan strings. They aren’t super expensive but seem to have a bit more body to them than the big name string brands. And I never break strings. Ever. I attribute it to those brands and the fact that I change strings often. My right hand (picking hand) is pretty versatile. I use my fingers more than the average player, always in conjunction with my pick – that hybrid style. I was never super fast with my pick, though, so I’ve developed a strong left hand and play a lot more legato than most. The only time I travel out of town to play gigs is for cover band type gigs so there’s really no need to promote. The crowd is built in. Somebody says that House Concert are the future of live music as many club are closing. What do you think about it? Have you organized any? I haven’t organized any but I’ve been a part of them and yes, they are awesome. We played a New Year’s Eve house concert and the audience was more attentive there than at any bars I played at this past year. Do you have any suggestions for somebody who would host an house concert? I can get spacey or uneasy before a gig. It’s more out of excitement to get on stage. My wife calls it “gig mode” and she knows I’ll only be half listening to her because my mind is going through the setlist, stage setup, soundcheck, crowd, etc. I’d much prefer to pack 50 people wall to wall in a small room than play to 500 in a huge room. Maybe that’s why the house concert idea is so appealing. I’ve played in a ton of different bands. Usually, the first show with a new band or new group of musicians is the most fun. I wish I could feel that every time. I try to do a bit of networking everyday. Over the last few years that has been in playlist pitching for spotify. That is a full time job! I wish creating music was the highest percentage, but unfortunately the business side of it takes so much time! Yes, you have to be a business-oriented person or else you hire someone to do it for you. As a full-time musician, I immediately realized that I can’t only work as a musician and I should extend my expertise in different fields. So, I became a Sound Engineer, composer, producer too. Did you also develop different fields? Which one? What do you like and do not like about each one? As I’ve stated before, I am a music teacher by day. I work for an Atlanta based company called Metro Music Makers and am supported by a fantastic team of musicians and entrepreneurs. I love working as a teacher and my students are some of the most inspiring kids I’ve ever worked with. I know that you are working really good in the “new world” of streamings, playlisting etc. Can you tell us what do you think about it? Have you learned any “promotional strategy” that you would share with the music community? A year ago I had 50-100 monthly listeners. I thought that was pretty exciting. Then I started looking at other player’s stats. I saw that there were musicians out there who were not on tour, not gigging out five nights a week, who were just writing and recording in their home studios and they had anywhere from a thousand listeners to a hundred thousand listeners! So I started concentrating on playlist pitching. I followed a lot of the strategies that have been outlined by many of the blogs online and started to find success. My numbers really grew. I topped out around 50,000 listeners over the summer. But the thing that has helped me the most, is connecting with other musicians on social media. That’s why I’m doing this interview. Through meeting the great Roberto Diana in different facebook and twitter circles, we’ve shared countless songs with each other and with the members of different facebook groups and communities. Help other musicians and you’ll see the benefits come back to you. We’re all in this together! Go all in. It’s scary, but if you want to really be a full time musician you have to willing to make sacrifices. You may not have a nice car, or be able to go out to eat a lot, and you may have to live a frugal life for a while, but it will pay off in time. Music is about passion. Passion doesn’t usually come with a big paycheck. 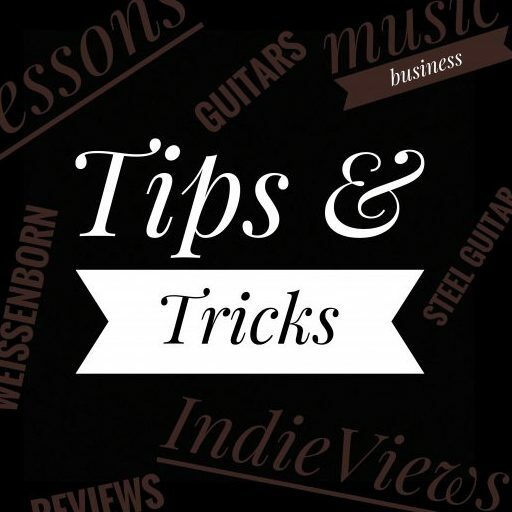 Listen to Mark’s Music on our Spotify Playlist with the other IndieView’s Artists and don’t forget to follow and share it.